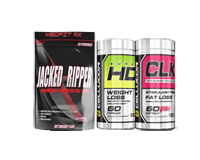 MedFit Rx Jack The Ripper and Cellucor Super HD and CLK Cut Stack!! Innovative Labs Monster Plexx 60ct, BOGO Available!! Innovative Labs Helladrol 60ct, BOGO Available!! Innovative Laboratories Diablos ECA Fire 90ct, BOGO Available!! Hi-Tech Lipodrene Xtreme V2.0 90ct, BOGO Available! Hi-Tech Estrogenex 2nd Generation 90ct, BOGO Available! !